A site for sellers on Etsy that are from from Glasgow, Scotland. 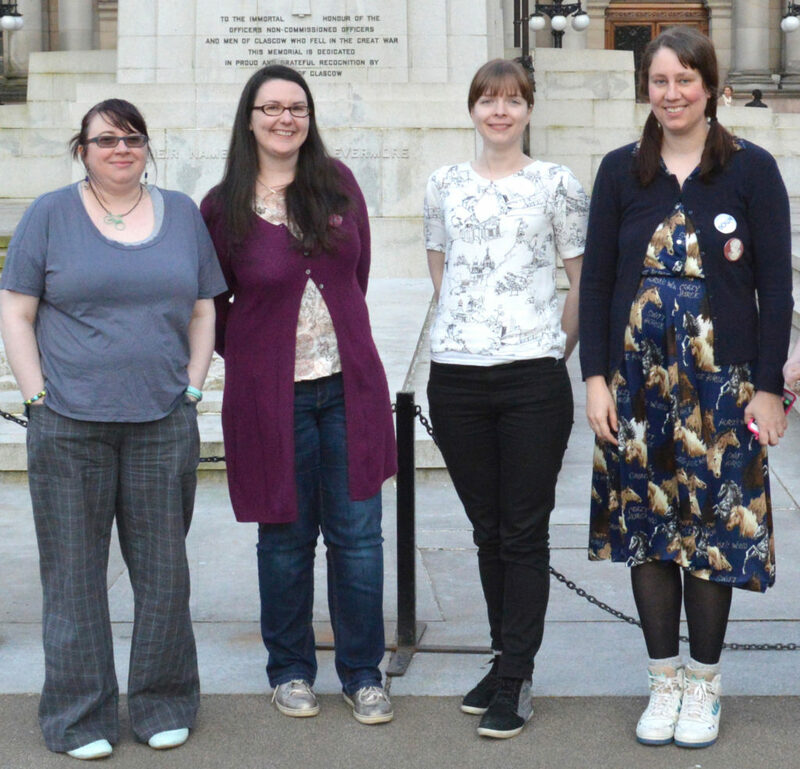 Meet the Glasgow Etsy Leaders and check out their shops using the links below. We voluntarily work hard to help you get the most of what Etsy has to offer and help those with Etsy shops in Glasgow and the surrounding area. I have two Etsy shops – a vintage shop and an illustration shop. 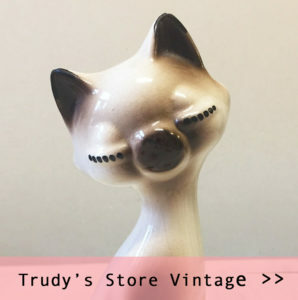 My vintage shop is full of vintage kitsch treasures, clothes and accessories. I love to draw and my illustration shop is full of fun retro styled cards, mirrors, stickers and badges that feature reproductions of my own quirky illustrations. I am obsessed with old movies, vintage kitsch and retro toys, many of which are featured in my work. I am a trained graphic designer and have studied animation, I currently work full time as a television designer at the BBC. I live in Partick, Glasgow with my boyfriend, our daughter and 2 fat cats. I make fun and unique jewellery, accessories and cards for geeks and gamers by recycling old bits and pieces into fun new things. 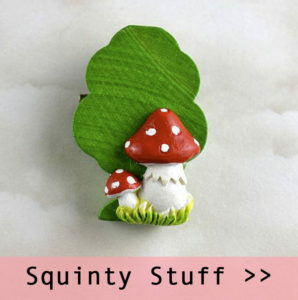 If you’re tired of buying ‘mass market’ jewellery and accessories from high street stores, and would like an original and unique piece, then Squinty Stuff should be right up your street. I reuse broken and abandoned things such as old necklaces, shells, stones and pottery, and various bits and bobs found in charity shops, jumble sales and beaches. Basically anything quirky that catches my eye, and the more fun the better! Pieces are carefully selected then lovingly recycled into something new. It’s all handmade in Glasgow, in the shadow of the Squinty Bridge. 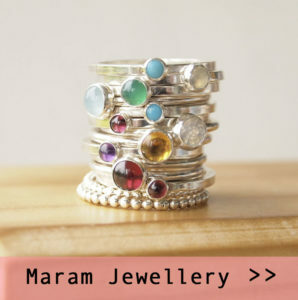 stone rings, and she regularly creates commissioned cluster sets of them that incorporate the birthstones of those closest to you, whether that be children, husbands , parents ..whoever you want to hold close. 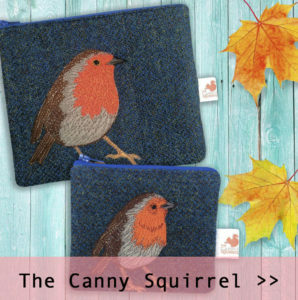 The Canny Squirrel captures your favourite animals on Harris Tweed homewares and accessories by drawing with stitches – all handmade in my studio in Paisley. My collection features an eclectic range of animal designs, and commissions are also welcome. You can even have your pet or favourite animal designed onto any of my products.